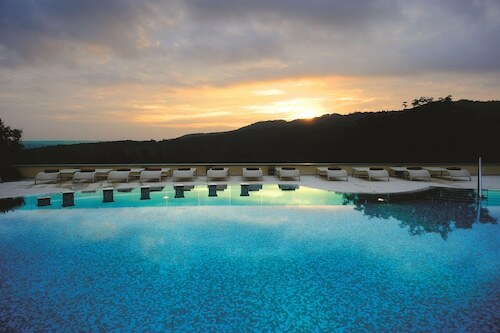 Situated in Civitella Paganico, this luxury hotel is 0.1 mi (0.1 km) from Terme Petriolo and within 6 mi (10 km) of Val di Merse and Castello di Montepescini. Abbey of San Lorenzo al Lanzo and Castello del Belagaio are also within 12 mi (20 km). Set in Civitella Paganico, this family-friendly hotel is within 20 mi (32 km) of Terme Petriolo, Piazza Stefano de Maria, and Val di Merse. Civic and Diocesan Museum of Sacred Art of Montalcino and Mount Amiata Fauna Park are also within 20 mi (32 km). Civitella Paganico Station is 25 minutes by foot. How Much is a Hotel Room in Civitella Paganico? Hotels in Civitella Paganico start at $41 per night. Prices and availability subject to change. Additional terms may apply. You'll find a number of accommodations on Travelocity to choose from when planning your time in Civitella Paganico. 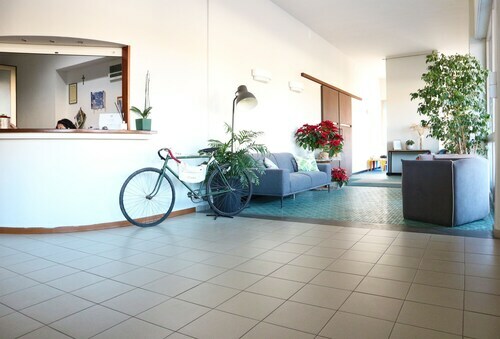 Modern travelers using Travelocity can dream about staying in around 10 excellent accommodations within easy driving distance from Civitella Paganico's center. Lodgings that you can find within an easy walk of Civitella Paganico's city center, are the Antico Casale L'Impostino and Locanda nel Cassero. The Fattoria Nuova Pievanella is situated 2 miles (4 kilometers) from the central area of Civitella Paganico and is excellent for travelers who like to stretch their budget. Travelers could also try the Rifugio da Giulia. It's worth having a look at the Castello Banfi - Il Borgo as well as the Relais Borgo Santo Pietro. The Castello Banfi - Il Borgo is positioned 6 miles (9 kilometers) from the city center of Civitella Paganico. The Relais Borgo Santo Pietro, can be found 13 miles (20 kilometers) away. 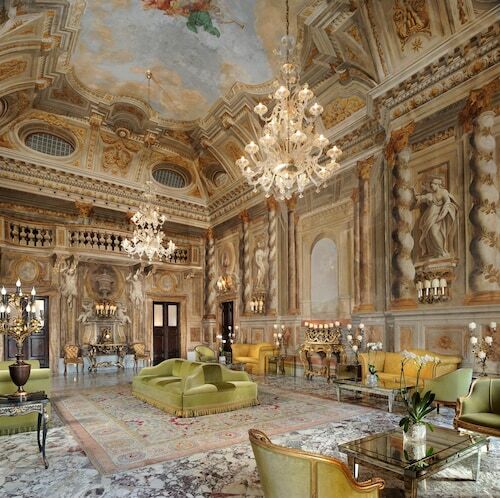 Some other hotels include the Rosewood Castiglion del Bosco and the Castello Di Vicarello. Why not spread your wings and get to know the many attractions located around Tuscany during your stay here? Get around Tuscany's ruins. Anybody drawn to nature should also take the time to admire the region's rural landscapes. In this area of Italy adventurous travelers may take up the chance to partake in snowboarding and skiing. Manciano is 30 miles (51 kilometers) to the south of Civitella Paganico and is home to Terme di Saturnia and Maremma Vigna Mia. 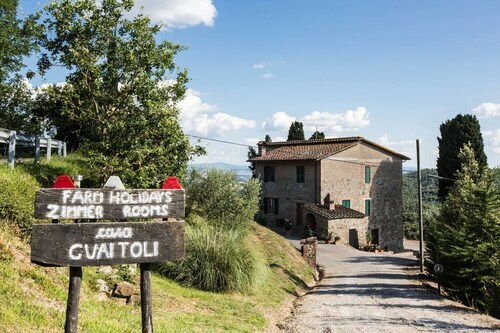 The Fattoria Pianetti and Montarlese Eco-Lodges are just a handful of the Travelocity-listed hotel alternatives in Manciano. Or, you could stay the night in Scarlino, 25 miles (40 kilometers) to the west of Civitella Paganico, where you'll find the Resort Baia Scarlino and Relais Vedetta. While visiting Scarlino, it's worth visiting the Castello di Scarlino and Cala Violina. Ensure a serving of sport by making a trek to Stadio Artemio Franchi, which can be found 55 miles (86 kilometers) to the north of Civitella Paganico. Sports fans that need to book Travelocity-listed accommodation in the area around the game can compare between the Four Seasons Hotel Firenze or the The St. Regis Florence. 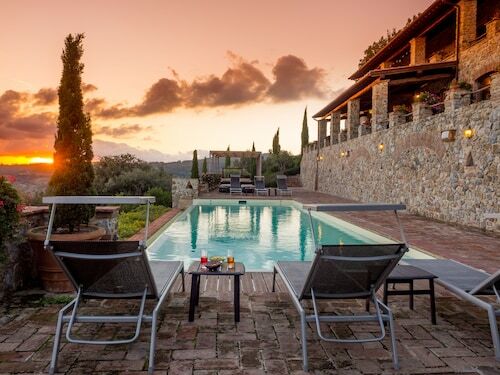 If you're traveling into or out of Peretola Airport and are hoping to book a Travelocity-listed room in the area, have a look at Torre di Bellosguardo or Sina Villa Medici. Great experience!! 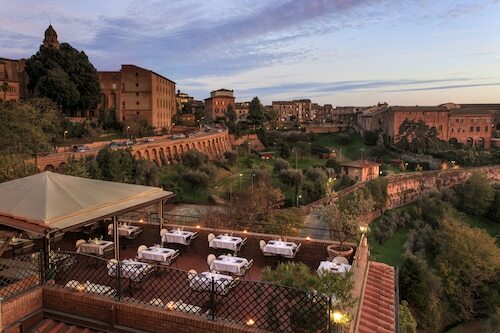 I wish we could’ve stayed longer at this hotel and Siena, in general, longer than 1 night..sigh. Excellent staff (in particular, I would like to give a shout-out to Elisa, I believe that’s her name, for her professionalism and awesome customer service) + very nice, clean room and convenient location. Can’t beat Hotel Athena..make this your base for your Siena and Tuscan adventures!!!! Nice Apartment in Villa With Wifi, A/c, Pool, TV, Patio, Washing Machine, Panoramic View and Par..